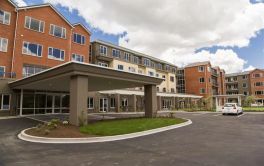 # 84 of 409 Retirement Villages in New Zealand. 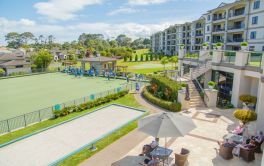 HIBISCUS COAST Retirement Village Metlifecare is located in Red Beach, Auckland and offers 269 dwellings with Serviced Apartments, Villa, (3+ bdrm), Villa, (2+ bdrm), Apartment (2 bdrm), Apartment (1 bdrm) of independent retirement living. × Have you visited this facility? Help others who are looking for a place by posting a review on HIBISCUS COAST Retirement Village Metlifecare or review a different facility now. Beautiful gardens and grounds. Sunny unit with nice outlook. Courteous pleasant staff. The meals are often sub-standard which is unacceptable. Every meal should be a top quality 10/10. 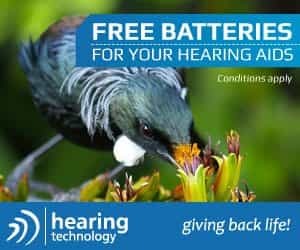 The noise in the dining room is unbearable to the elderly who wear hearing aids and are unable to eat their meals in peace since the bar was opened in the same area - uncomfortable!!! A new manager started a few weeks ago and has demonstrated a willingness to listen and make changes - great. We are currently going through a management change. The new person is handling things well, in spite of inheriting a whole lot of maintenance issues. Meetings between residents and senior management have been held, with seemingly positive results. Bob021HIBISCUS COAST Retirement Village MetlifecareAll. We must enforce the 15kmh speed limit in the village BEFORE someone is injured or worse. Thought my last home was perfect and enjoyed 9 years there. This is better, hard to fault apart from usual complaints which pervade all societies. Could do with more outside activity, not just bowls. Golf croquet lawn would be nice. 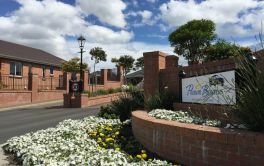 Bob421HIBISCUS COAST Retirement Village MetlifecareNot many. Maintenance neglected. No contact re complaints. Staff very sour and negative. This is an old village in need of a lot of work to bring it up to reasonable standard. Very relaxed atmosphere. Friendly residents. Handy to many facilities. Love how two staff recently attended a resident’ apartment and an ambulance was called... Staff were attentive, professional and very caring! I highly recommend anyone putting their loved one in this wonderful establishment! !